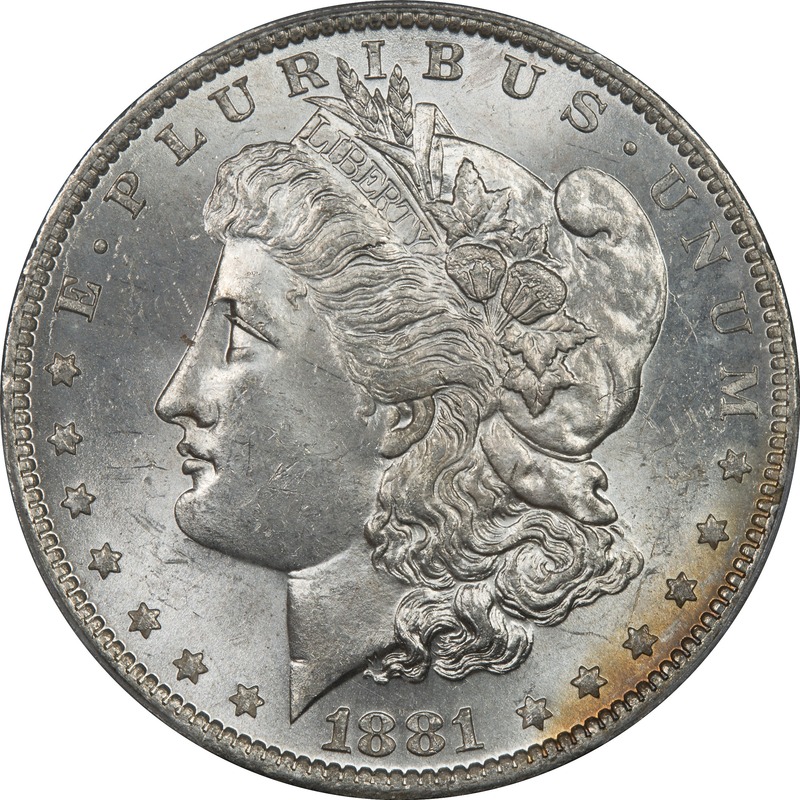 Comments: We would place this coin toward the middle to lower end of the MS 63 grade, not because of the toning but the accumulation of small nicks and scratches on the obverse. This appears to be a bag toned coin. The crescent shape to the color and spectrum are indicative of bag toning. The coin was obviously exposed to a reagent like the bag and shielded from complete exposure by other coins. Even though dark toward the rim, the colors are more indicative of the second cycle of color. 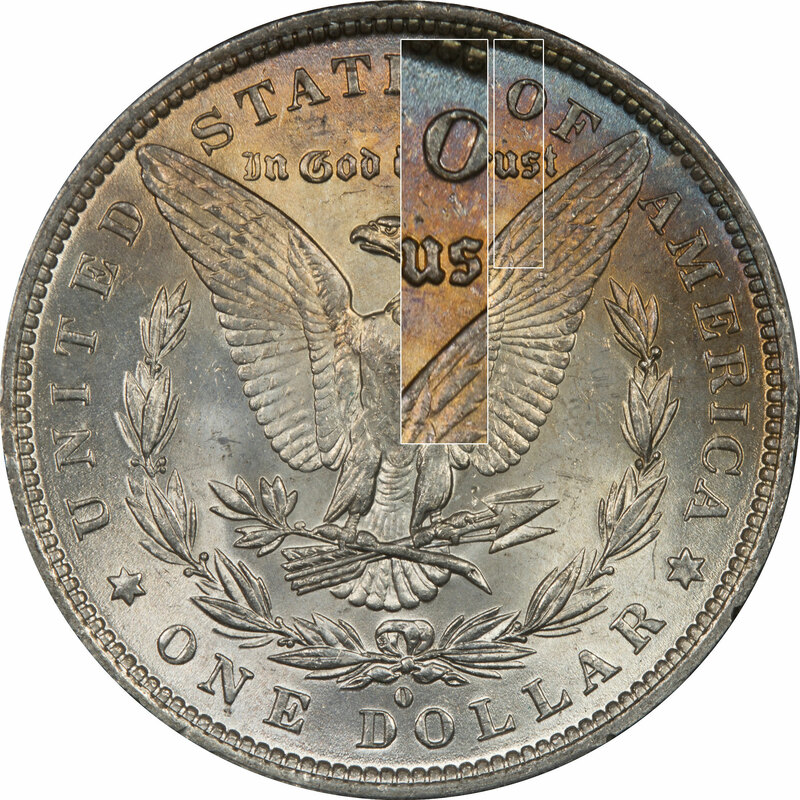 The sequence from orange, to to magenta, and finally to magenta-blue are correct for a naturally toned coin. 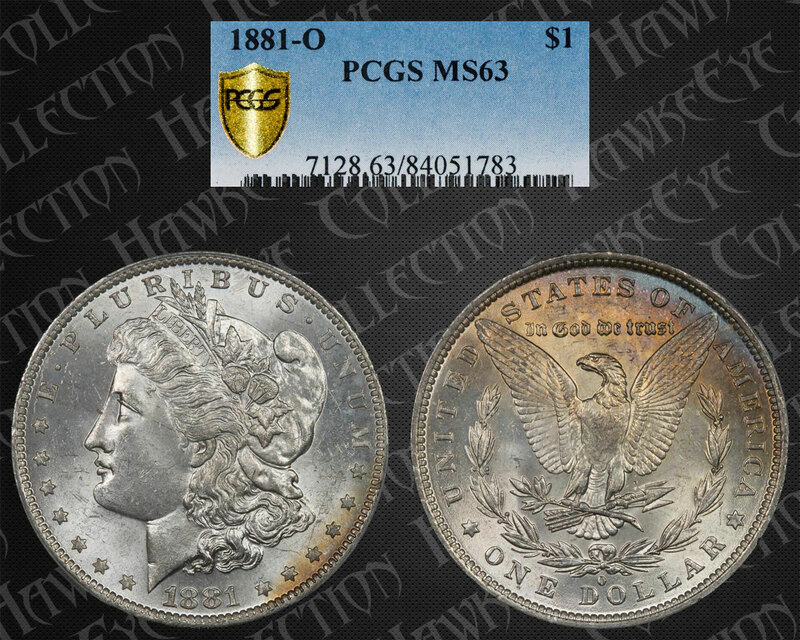 The small amount of obverse color is merely the same exposure from the reverse, but just starting to appear.